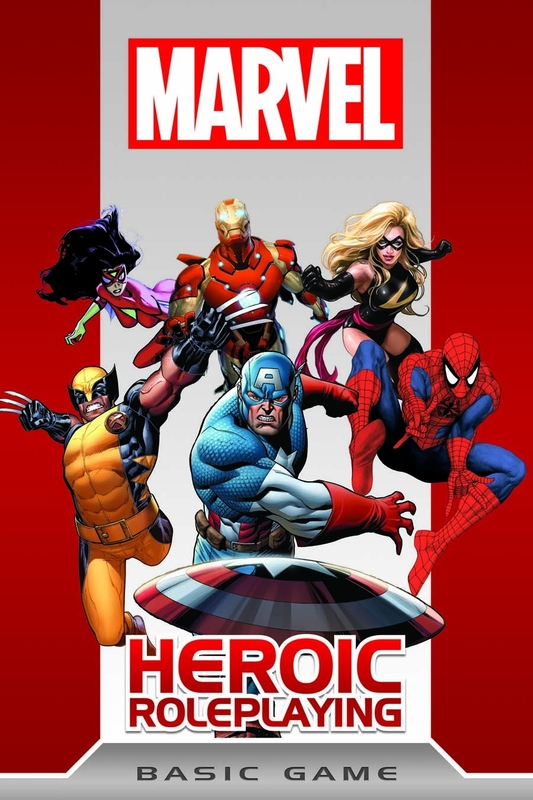 I feel that Marvel Heroic Roleplaying has really nailed it for comic book games. It has bridged a gap in gaming I have been trying to name for many years. Super-powered characters vs. comic book characters. Simulationist games like GURPS and HERO/Champions are perfect for building the proverbial “You will believe a man can fly.” That is great for super-powered characters. Sometimes I want a character with powers that doesnt wear spandex. (BTW, we are huge GURPS fans) But those systems don’t have the reach to simulate superhero action in the comic book. I put the blame on comic books themselves. They are inconsistent, erratic, and contradictory. The stats of a hero depends on the artist and writer. MHRPG has successfully found a way to make it all work together. As a player, you are a writer for your character. By building your dice pool, you are deciding the power level of your character. I highly recommend MHRPG if you want to play a comic book superhero game. My superhero game resume includes: V&V, Golden Heroes, Champions, Superworld, DC Heroes, MSH, M&M 1-2ed, GURPS, and MHRPG. I have been reading comic books since the mid 70s. Knowledge (Comic Books) – 17.